Sorry folks - looks like this one is cancelled for 2017. 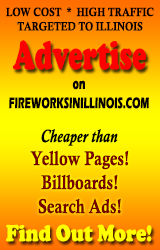 The city's fireworks vendor didn't get a license, and it was too late to find another vendor. Maybe next here? More here.